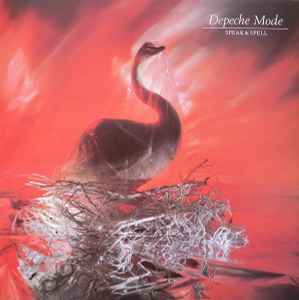 Debut album by Depeche Mode, released in the UK on 5 October 1981. I have a white label on both sides stamped with "Non-salable sample vinyl record" in German "Unverkäufliche Musterplatte"
The Matrix also has the A-6638 A-1/81S III on it, so it is definitly from the same release. But I do not know if it should be listet separately or not. The sound is great BUT the needle jump in the song Puppets and Boys Say Go. Depeche Mode records sound really awesome for the most part. The analog electronics translate extremely well onto vinyl. The drums are super punchy and the synth tones are rich. The music is full and dynamic and you get that thick, analog, saturated feel awash in beautiful warmth. The only thing I've noticed on DM releases is that the vocals always seem to be recorded a little bit low and sound distant and not as powerful as the rest of the music. Still this record sounds awesome. I love Specialty Records Corporation pressings as they're quality presses that hold up well over time and come in poly sleeves and manage to stay relatively scratch free and flawless. I would look for the SRC presses when going for these old DM releases. Skips one time exactly at the same moment that on the 2007 repress (at the end of "Puppets")... Boys at MOV, how can you explain that ? It has quiet good sounding.surprisingly good. Possibly comes of a copy of some us release due the tracklisting. Nowadays this music seems infantile and childish, but the press quality is incredible for such record, heavy bass refrain in "puppets" will get you down to the bone. This reedition is a good pressing. The sound is detailled and have a good level. How can I see, that the LP is from sweden? My LP is with exactly same cover, inner-sleeve and the white label on the record. But nothing says anything abaut Sweden. Only that MUTE is from London.